Save Time: Available automation tools in QuickBooks allow you to process your basic bookkeeping tasks simply and more efficiently. 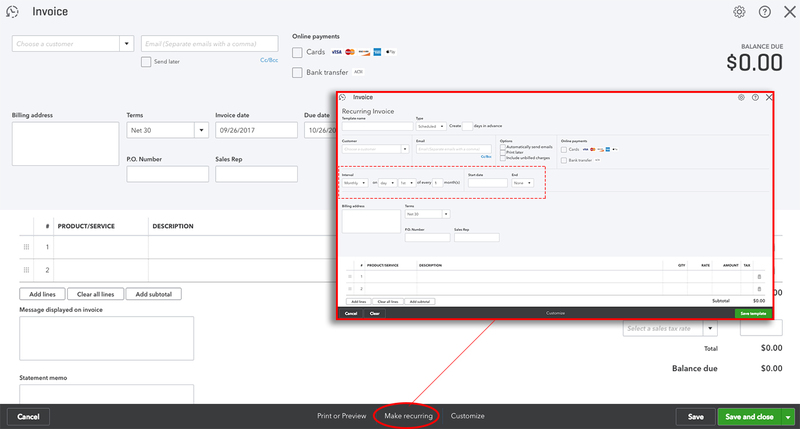 One of the items you can automate is a recurring invoice. If you have a client that pays the same thing each week/month/year for a particular good/service, you can set up the invoice in advance and have it sent out at the desired time. That’s one less thing you have to worry about. 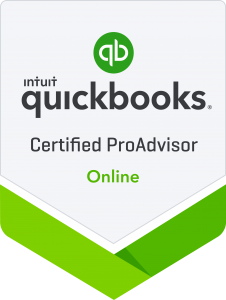 Customizable: QuickBooks features can be tailored to suit your workflow needs making it flexible and adaptable across any profession. 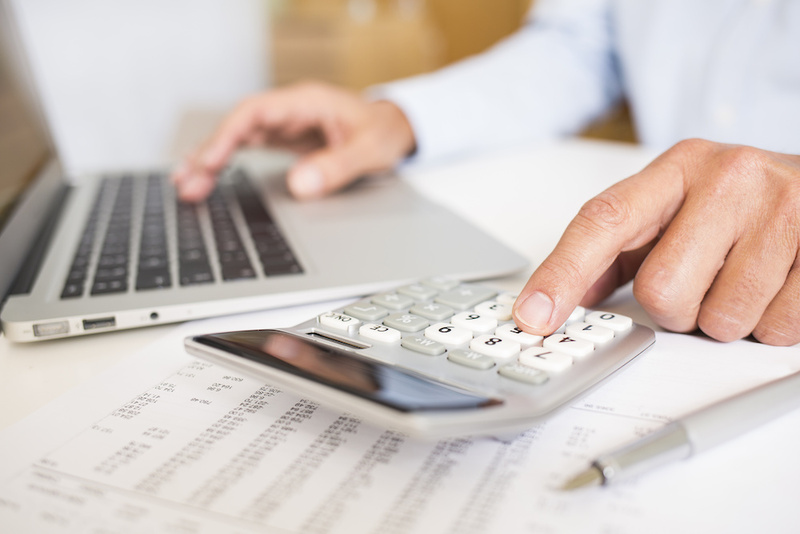 Support: There are numerous resources online available, including tutorials and a large community of user generated discussions, to help you learn how to optimize your accounting practices. 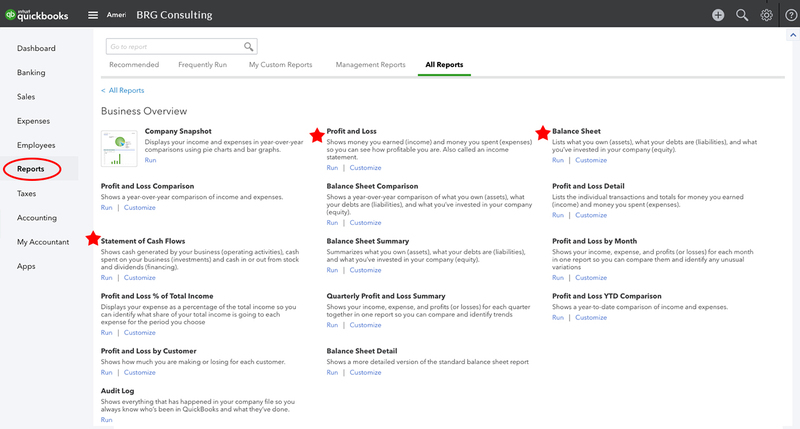 Integration: Share data between QuickBooks and other applications like Outlook, Excel, Word, Act and more. Accept Credit Cards: With a Merchant Services Account you can take credit card payments through your QuickBooks account and make it easier than ever for your customers to pay you. Peace of Mind: The comprehensive reports available allow you to consistently track the financial health of your organization. The 3 you should become most familiar with are the balance sheet, profit and loss statement and cash flow statement. Get Paid Faster: Once you’ve made it easier for your customers to make a payment, you’ll be thrilled to see how much quicker you get paid than before. Grow Your Business: QuickBooks can help you design your business plan when trying to access a small business loan or line of credit, including creating a projected balance sheet, profit and loss statement and statement of cash flows in the format recommended by the U.S. Small Business Administration. Save Money: The software is affordable and can be used by businesses small and large. So even as your company grows, your bill will not. Bank Better: Setup your bank account in QuickBooks to sync transactions for easier reconciliation, bank online and pay bills. You can write a check in QuickBooks that will be processed and sent by your bank—no more envelopes to lick, stamps to stick or checks to handwrite.